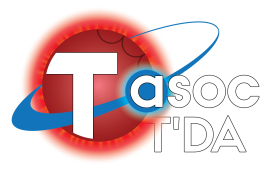 This module provides the basic photometry setup for the TESS Asteroseismic Science Operations Center (TASOC). The code is available through our GitHub organisation (https://github.com/tasoc/photometry) and full documentation for this code can be found on https://tasoc.dk/code/. >>> git clone https://github.com/tasoc/photometry.git . For simply trying out the code straight after installation, you can simply run the photometry code directly. This will automatically load some test input data and run the photometry (see more details in the full documentation or below). The number refers to the TIC-number of the star, and the above one can replaced with any TIC-number that is available in the TODO-list (see below). The next thing to do is to set up the directories where input data is stored, and where output data (e.g. lightcurves) should be put. This is done by setting the enviroment variables TESSPHOT_INPUT and TESSPHOT_OUTPUT. Depending on your operating system and shell this is done in slightly different ways. The directory defined in TESSPHOT_INPUT should contain all the data in FITS files that needs to be processed. The FITS files can be structured into sub-directories as you wish and may also be GZIP compressed (*.fits.gz). When the different programs runs, some of them will also add some more files to the TESSPHOT_INPUT directory. The directory in TESSPHOT_OUTPUT is used to store all the lightcurve FITS file that will be generated at the end. Estimating sky background for all images. Restructuring data into HDF5 files for efficient I/O operations. The program can simply be run like the following, which will create a number of HDF5 files ( *.hdf5 ) in the TESSPHOT_INPUT directory. This will create the file todo.sqlite in the TESSPHOT_INPUT directory, which is needed for running the photometry. See the full documentation for more options. This is very usefull for testing different methods and settings.